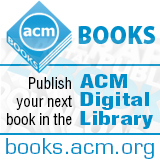 Welcome to the May 19, 2014 edition of ACM TechNews, providing timely information for IT professionals three times a week. Do We Need a Title IX for STEM Workers? European researchers are developing Anagraphs (anaglyptic refreshable photo-haptic screen), a portable and affordable Braille device with a tactile display that enables visually impaired users to access digital words and graphics. The researchers say Anagraphs is the first Braille device to offer users text and graphics. The device consists of 6,000 Braille dots that are activated through a resistive-heating array, which uses thermo-hydraulic micro-actuation technology and specialized software. The dots are raised as the resistive heat expands the paraffin waxes in the screen from liquid to solid. The researchers say the wax actuation technique will help drive down the overall cost of the technology. "One of the innovations of the project was to develop a pad, so a matrix of dots that could be read by the [visually] impaired which would include both text and graphics," says Anagraphs project manager Peter Fowell. The Anagraphs project is currently in the final stages of development. "It's now a case of taking it to the next step for Horizon 2020 because that is the latest funding vehicle that we're now looking into now that FP7's finished," Fowell says. Researchers at Columbia University's Teachers College have released a comprehensive study on massive open online courses (MOOCs) suggesting the technology is not yet attaining its goals. Based on 83 interviews with those involved with MOOCs at 62 primarily U.S. institutions, the study features 13 case studies showing the successful implementation of MOOCs to address institutional goals. Improving access to education and broadening institutional reach is a primary MOOC goal for most institutions, according to the study. And although MOOCs do offer educational opportunities to millions of people globally, most participants are already well-educated and employed, the study found. In addition, measuring the impact of MOOCs on building and maintaining institutional brands, another often cited goal, is difficult because increasing access is sometimes viewed as decreasing selectivity. Furthermore, the cost of producing and delivering a MOOC ranges from $39,000 to $325,000 per class, meaning free MOOCs will likely only be possible at the wealthiest institutions. The researchers offer several suggestions to help make MOOC implementation more successful, such as identifying new communication channels to attract less-connected students, and offering more instructional scaffolding to draw less educated participants. Additional suggestions include offering employer-recognized credentials, standardizing data formats across online learning platforms, and creating an accreditation system. Massachusetts Institute of Technology (MIT) researchers have developed a glasses-free, multi-perspective, three-dimensional video screen they say could provide a less expensive, more practical alternative to holographic video technologies. The system includes a new type of projector that improves the resolution and contrast of conventional video. The projector system features two liquid-crystal modulators positioned between the light source and the lens. Patterns of light and dark on the first modulator turn it into a bank of angled light emitters. The combinations of the patterns displayed by the two modulators ensure the viewer will see slightly different images from different angles. The researchers also are developing a prototype screen, which combines two lenticular lenses that widens the angle from which the projector's images can be viewed. The system works by displaying six patterns for every frame of video, which together produce eight viewing angles. The researchers say the key to the system is an algorithm that calculates how much information can be preserved between viewing angles and how much needs to be varied. Preserving as much information as possible enables the system to produce a brighter image. The researchers also have developed algorithms that account for contrast and other forms of light interference. The U.S. Office of Management and Budget's Lisa Schlosser thinks a measure along the lines of Title IX may be necessary to close the gender gap in the IT profession. "I'd just challenge us all to think...is there something like [Title IX] that we really need to promote so that we can get more folks into technology early?" Schlosser suggested during a panel discussion at the annual FOSE government information technology (IT) conference. She and fellow panelists stressed the need for gender diversification of the IT workforce, citing recent estimates that women only hold about 25 percent of all IT jobs. Panelists suggested other ways besides Title IX-like legislation that businesses could use to boost recruitment in science, technology, engineering, and math (STEM) fields. Expanding the understanding of where STEM degrees are applicable is one possible starting point, and IBM's Anne Altman suggested businesses take a more active role with schools in positioning technical education as an entry point into a fulfilling career in whatever field inspires students. Part of that effort could involve grassroots support to expand business' presence in schools, while Amazon Web Services' Teresa Carlson advocated curriculum reform to require cultivating programming skills at an early age. Researchers at the CNRS Lorraine Laboratory of Research in Computer Science and its Applications and the University of Paris' Computer Science Laboratory have uncovered a flaw in cryptography security. Their work discredits several cryptographic systems that until now were assumed to provide sufficient security safeguards. The team has solved one aspect of the discrete logarithm problem, considered to be one of the chief goals of algorithmic number theory, which serves as the foundation for the security of many of today's cryptographic systems. The researchers have devised an algorithm that is able to solve increasingly large discrete logarithm problems, while its computing time increases at a far slower rate than with previous algorithms. As a result, computation is made considerably easier. However, the researchers note the work is still theoretical and needs to be refined before it is possible to provide a practical demonstration of the weakness of this variant of the discrete logarithm. Nonetheless, they say it is likely to impact cryptographic applications of smart cards, radio-frequency identification chips, and other security devices. University of California, (UC) Davis researchers have developed three-dimensional nanowire transistors by combining atoms of semiconductor materials into nanowires and structures on silicon surfaces, a breakthrough that could result in more robust electronic devices. The researchers say the technology could be used to build sensors that can operate under high temperatures. Conventional devices that include both silicon and non-silicon materials offer high speeds and robust performance. The researchers created silicon wafers with nanopillars of new materials, such as gallium arsenide, gallium nitride, and indium phosphide, and then grew nanowire bridges between the nanopillars. "We can't grow films of these other materials on silicon, but we can grow them as nanowires," says UC Davis professor Saif Islam. The researchers devised a method to make the nanowires operate as transistors, and combined them into more complex circuits. They also developed techniques to control the number of nanowires, their physical characteristics, and consistency. Researchers at Beihang University have studied the flow of information in networks to determine how to identify the most influential spreaders of information, or superspreaders. Network theorists have put forth various methods of pinpointing superspreaders, but social networks are so complex these ideas are difficult to test in the real world. Instead, researchers typically create models that mimic certain aspects of real networks. However, information does not travel in real networks in the same way it does in models, in part because users tend to pass on information only when they are interested and active. The Beihang University team studied information flows in a range of networks, including the LiveJournal blogging network and subsets of Twitter and Facebook. Among the measures the team studied, the most effective at spotting superspreaders is the property of network nodes known as their k-core, which is determined by iteratively cutting network peripheries. The k-core is the step at which a node or person is cut from the network, so the most highly connected individuals survive the longest. However, the k-core measure can only be calculated by taking into account the structure of the entire network, which is difficult with large networks. Therefore, the researchers developed a similar but easier to calculate measure that adds the degrees of a person's closest friends. A device developed by Pennsylvania State University electrical engineers could serve as the foundation for non-Boolean computing. The new type of computing architecture that stores information in the frequencies and phases of periodic signals could work like the human brain to perform computing functions. The device uses a thin film of vanadium oxide on a titanium dioxide substrate to create an oscillating switch, and the team says they used a standard electrical engineering trick to add a series resistors to stabilize oscillations over billions of cycles. When a second similar oscillating system was added, they discovered that over time the two devices would begin to oscillate in unison. The coupled system is a small-world network as is the brain, with its closely clustered nodes that evolved for more efficient information processing. The novel device uses only about 1 percent of the energy of digital computing, allowing for new ways to design computers. The researchers note it will likely take at least seven years to scale up from the current network of two to three coupled oscillators to the 100 million or so densely packed oscillators needed to make a neuromorphic computer chip. The University of Maryland (UMD) recently unveiled Deepthought2, which it says is one of the fastest university-owned supercomputers in the U.S., to support advanced research activities ranging from studying the formation of galaxies to simulating fire and combustion for fire protection advancements. Deepthought2 has a processing speed of about 300 teraflops. Several university divisions and colleges and researchers from various disciplines collaborated to obtain this new central computing resource, and also worked to launch the Cyberinfrastructure Center, a facility specifically designed to provide the needed space, energy-efficient climate control, and backup power for the supercomputer. "This new supercomputer will allow hundreds of university faculty, staff, and students to pursue a broad range of research computing activities locally--such as multi-level simulations, big data analysis, and large-scale computations--that previously could only be run on national supercomputers," says UMD professor, senior vice president, and provost Ann G. Wylie. Deepthought2 can complete 250 trillion to 300 trillion operations per second, has a petabyte of storage, and is connected by a very high-speed internal InfiniBand network. "High-performance computing is key, and Deepthought2's expanded capabilities will further Maryland's research funding competitiveness and help UMD researchers bring in new grant money to fund the science enabled by such a powerful local facility," says UMD professor Derek Richardson. Carnegie Mellon University (CMU) researchers have developed the eXpressive Internet Architecture (XIA), a next-generation Internet architecture they will test in a vehicular network and in delivering online video on a national scale. XIA includes features that enable the network to directly access content where it is most accessible, and provides security features that can guarantee users that websites are legitimate. XIA will be deployed in a network near the CMU campus, and it could work with Downtown Pittsburgh's free Wi-Fi network, which will enable vehicles to utilize information from neighboring access points, according to CMU professor Peter Steenkiste. In addition, the researchers will test XIA's ability to eliminate bottlenecks during video transmission. "These deployments will leverage, and enable us to deepen, our work on secure network operations, including providing a highly available infrastructure and secure authentication mechanisms," Steenkiste says. XIA is designed to enable users to seek out content where it is most accessible, and to evolve with the Internet, so future users can accommodate communications with entities that have not been developed yet. "These projects are just the beginning of what it would take to create a full-scale Future Internet, but the ultimate goal is the design and deployment of a network that serves all the needs of society," says the U.S. National Science Foundation's Keith Marzullo. University of California, Irvine researchers say they have taken ideas from nature and applied them to software that runs on digital devices. "Our solution is to make every software program unique, so that hackers have to find different attacks for different targets," says UC Irvine professor Michael Franz. In biology, diversity is strength, and the researchers are using this concept to reduce the effect of software errors by developing mechanisms that can create a unique version of every program for every person. Although this strategy will not eliminate hacking completely, it will prevent widespread damage, increasing the cost of attempting cyberattacks and making it more difficult to target a specific person or organization. Franz says using multiple versions of the same software is not a new idea, but this is the first time it has been attempted on the scale or at the low price point of this solution. "In our approach, subtly different versions of the same software are created automatically 'in the cloud,' in a matter that is invisible to both the software developers and the end users," he says. Researchers at Harvard University's School of Engineering and Applied Sciences (SEAS) hope to prove within the next few years that it is possible to use robotic bees to artificially pollinate crops. They believe the RoboBees project could eventually serve as a temporary solution for the abrupt disappearance of bees. Modeled after flies because they have two wings rather than four, RoboBees have been in development since 2012. "They have unique capabilities compared to larger flying robots," says SEAS postdoctoral student Sawyer Fuller. The carbon-fiber flying robots weigh 100 milligrams, which is the same as a honeybee, and they flap their wings at about 120 beats per second, compared to 200 beats per second for bees. Their small size makes them less expensive to make and more agile than other flying robots, Fuller notes. Within five to 10 years, the robotic bees also could be used to search for disaster survivors, detect gas leaks, measure micro-climates, and conduct stealth military reconnaissance.